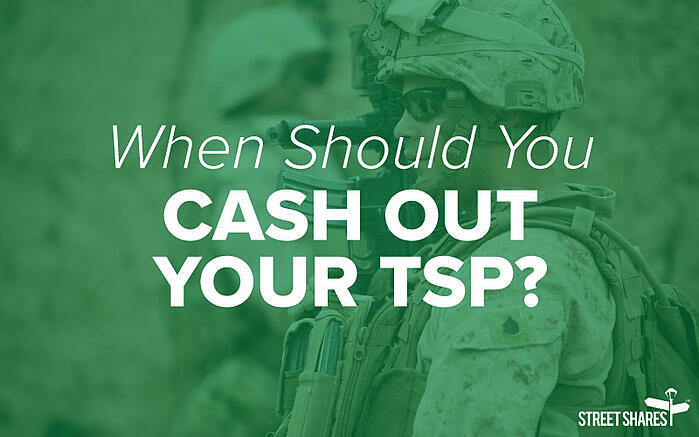 When Should You Cash Out Your Thrift Savings Plan (TSP)? If you have a Thrift Savings Plan (TSP), you probably signed up for it at the start of your military career, and by now are dimly aware that a percentage of your monthly income contributes to the TSP savings plan. But since it’s always been that way, you haven’t thought much about it. Now you’re transitioning. Do you know how much you’ve saved for retirement, whether you should rollover your TSP into an employer 401(k) plan or move your TSP to an IRA, and what all these acronyms and numbers mean? Here are quick answers to all your questions about thrift savings plan withdrawal, and how to decide whether to cash it out or not. 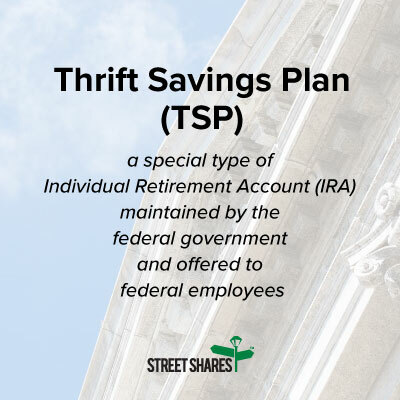 The TSP is a special type of Individual Retirement Account (IRA) maintained by the federal government and offered to federal employees. Although service members have a 20-year pension plan, they can use the TSP as an alternate or supplemental plan. The TSP is a good deal because the federal government pays the administrative costs of the plan, so your money is never subject to fees for trading, account transfers or anything else. It’s basically a free IRA for service members and other federal employees. So what is an IRA? An IRA is a retirement account incentivized by special tax laws. Normally you can’t withdraw from it until you are over the age of 59½, but in exchange you get to contribute money from your paycheck before it’s taxed, lowering your taxable income (and therefore, your taxes). The catch is that all future withdrawals from your traditional IRA (including the TSP) will be taxed as income. A different “flavor” of IRA is called a Roth IRA. In a Roth IRA, your contributions are not tax-exempt, but your withdrawals later in life are tax-free. The decline of pension plans in the 1980s and 1990s caused employers and the government to seek new ways of providing retirement money. What they came up with was the IRA, sweetened with tax incentives encouraging employers to contribute to their employees’ account. Normally this is done through matching – whatever you (the employee) contribute, your employer will match a portion of it, or up to a certain percentage of the employee’s income. This is permitted under section 401(k) of the applicable law, which is why such retirement IRAs are called 401(k) plans. Remember that these plans are subject to the same tax incentives and restrictions as normal IRAs. What kind of IRA is my TSP? The TSP statements – showing your account’s contributions (from you) and growth – will identify if an account is Roth or not. If you don’t see the word “Roth” in your account name, then you have a traditional IRA. Also, because of the 20-year pension plan available for service members, the government does not match any military member contributions (it does, however, match other federal employees’ contributions under the 401(k) regulations). What can I do with my TSP money? The tax incentives for IRAs penalize you for withdrawing money early – i.e., before you reach the age of 59½ – to the tune of 10 percent of your withdrawal. And it’s taxed as additional income if it’s a traditional IRA! You will probably owe several thousand dollars more in taxes, at least. So unless you’re willing to pay a lot to use the money in your retirement account, you have to keep your money within the IRA structure (and wait until you’re 59½ to use it). But there are some circumstances, like high medical bills or buying your first house, which allow you to tap into your Roth or traditional IRA without penalty – all found in IRS Publication 590. So can I keep the TSP? Yes, but unless you are a federal employee, you cannot contribute out of your income to the TSP. Once you transition out of the military, your money is stuck in the program. It will still grow on its own, of course, but if you want to keep investing for that million-dollar retirement, you’ll need to move to a different IRA. Most employers have a 401(k) plan, and you’re permitted by law to “roll over” money between similarly structured IRA accounts (i.e., traditional to traditional, Roth to Roth) without penalty. Just remember that once you roll out of the TSP, you can’t roll back in unless you are eligible to contribute – i.e., you become a government employee again. 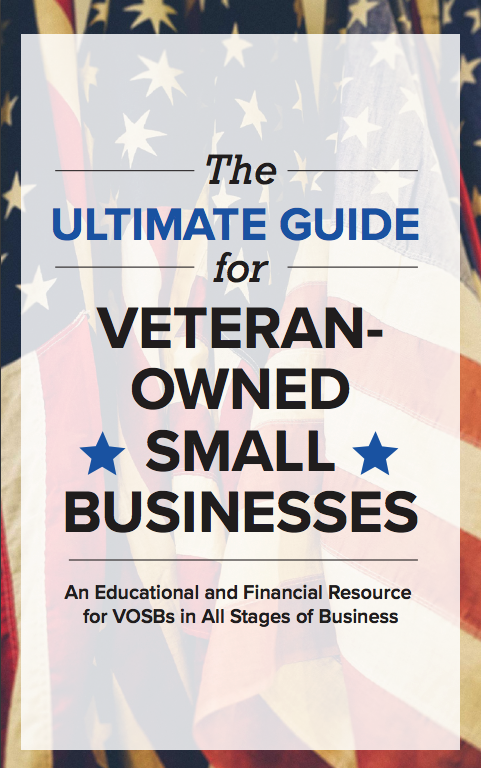 Learn about a new way to earn more while investing in veteran small business. Are there benefits to keeping the TSP? Well, the money you invest will grow significantly throughout your working years. Also, the TSP’s investments are free, meaning you won’t see periodic fees reducing your retirement savings. But if you transition to a federal job, then the TSP becomes a pretty nice 401(k) and there’s really no reason to switch. Can I keep my TSP and start a new IRA with my civilian employer? Certainly! It’s a little more to keep track of – two IRAs instead of one – but you can enjoy the benefits of the TSP on money already invested, while taking advantage of your new employer’s plan as well. You could even use different investment strategies with each account – contact a financial planner for more information. And if you don’t have one already, you can use your new employer’s plan to start a Roth IRA, which is handy because it’s easier to withdraw money before age 59½ from a Roth IRA if some kind of emergency comes up. How do I roll my TSP into a civilian IRA? The paperwork for withdrawing money from the TSP can be found at www.tsp.gov. The paperwork for rolling that money into another account varies, but the human resources department at your new employer should be able to help. There is no penalty for “rolling over” IRA money, as long as it’s traditional to traditional or Roth to Roth. It’s a several-day process and will usually require you to provide notarized signatures on the forms. If you’re considering this route, be aware that you cannot convert an IRA of one type to another, unless you withdraw everything (and pay the penalty! ), then re-invest it. So frankly, that’s a terrible idea. So do I cash out or not? If you are transitioning into federal service, NO! Let the federal government match further contributions you make to the TSP and watch your money grow twice as fast. If you want to start a NEW account – for example, if you want a Roth IRA – then you won’t find a less expensive IRA than the TSP, so you might just leave your money there to grow while you focus on your new plan. But if you want your money all in one pot, so to speak, cashing out and rolling over your TSP to a new IRA is the way to go. The military makes it easy to “fire and forget” things like retirement plans. Unless you read the fine print on your LES every month, you would hardly be aware that 3 percent (or whatever) of your income was padding your nest egg. Besides, with a 20-year pension possibility, service members can be fairly complacent about retirement. But transitioning means that your retirement savings are no longer the alternate plan – they’re the primary plan. Putting some thought into retirement plans is one of the best investments you can make. We’re not a financial advisor and this should not be considered financial advice, but if you talk to a financial advisor, they’ll tell you that diversifying is the best thing you can do for your investment portfolio. Your TSP and employment retirement plans are great ways to start. Another way to diversify while supporting veterans is investing in their small businesses through Veteran Business Bonds1. When you open a Veteran Business Bonds account at StreetShares, your money is put to work supporting and funding veteran-owned small businesses right away. And all it takes is $25. You can invest up to $100,000 and start earning 5% interest immediately, which is higher than many retirement accounts. As an investor, you can withdraw at any time prior to the maturity date2. For a limited time, we’ll give you up to $1,000 on your investment. Learn more here. 2Early withdrawals are charged a 1% fee. This post was originally published on G.I. Jobs.